Here is a link to Hunter Hewitt’s San Francisco Chronicle Cal football blog. 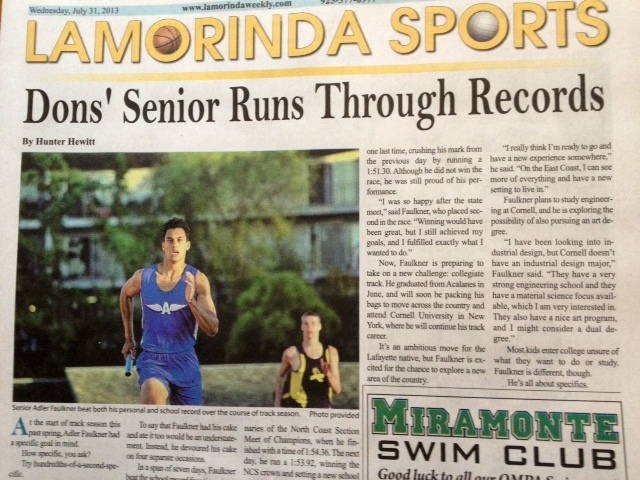 Here is the latest Lamorinda Weekly feature story by Hunter Hewitt. It is on former Acalanes track star Adler Faulkner. He will be heading to Cornell in the fall to continue his track career. 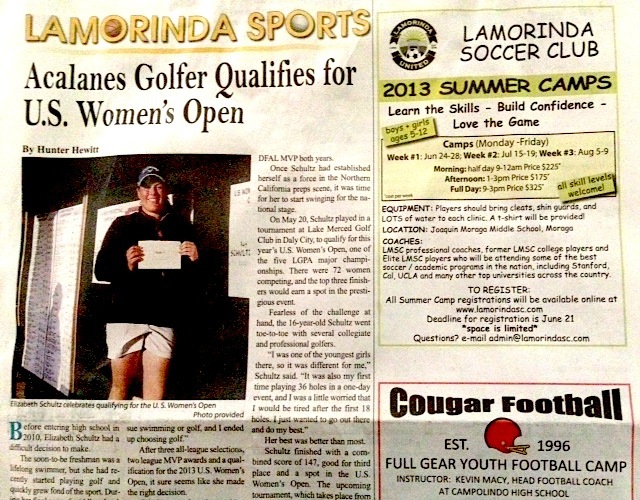 Here is the latest story in Lamorinda Weekly by Hunter Hewitt. It’s a feature story on Saint Mary’s College basketball player Beau Levesque, a Lamorinda native who will be counted on to play an integral role in his final season with the Gaels. Here is a new feature story by Hunter Hewitt in this week’s Lamorinda Weekly. The article profiles an incredible 16-year-old golfer from Acalanes High School who has qualified for the upcoming U.S. Women’s Open. New post by Hunter Hewitt on AztecsForLife.com about former San Diego State running back Ronnie Hillman appearing on NFL Total Access. New story by Hunter Hewitt in Lamorinda Weekly on the Campolindo and Acalanes baseball teams and their NCS championship victories. Here is Hunter Hewitt’s latest story about the Miramonte boys tennis team in SportStars Magazine.